Excelsior, heroes, and welcome to our first installment of the The NYRD Trip. It’s a lot like a regular road trip except much nerdier. In the coming weeks our crew will be traveling around the United States to see some sights, have some experiences, and probably raid a few comic book shops along the way. You can follow along with us at SnapChat, username: thenyrd. However, we thought it would be best to kick this thing off in our very own home town, New York City, nerd capital of the world. Let’s start with the Geekiest locations. New York houses everything from MiB’s secret headquarters to Peter Parker’s Queen’s home to Mario Brother’s Plumbing. Of course, in our humble opinion nothing beats the Ghostbusters firehouse located at the corner of Varick and North Moore in Downtown. Unfortunately, the building is currently under construction and obscured by scaffolding that sort of takes away from the iconic look of the place. You can find a lot more in BuzzFeed’s Ultimate Nerd Guide to New York. We would like to add that we are also fans of Hell’s Kitchen, the Midtown neighborhood that sits across the Hudson from Jersey. It’s not so much that we sit on rooftops and look for Daredevil –though we’re also not saying that we don’t do that– but if you are looking for trendy food and some decent craft beer we recommend the area. 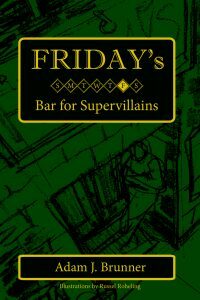 In fact, you couldn’t swing a Kingpin and not hit a place to find a decent drink and burger. You can also take a walk down to Luke Cage’s office on West 42nd Street, if you’re feeling so inclined. However, if that doesn’t grab you we also heavily recommend the Natural History Museum. Chances are you won’t become locked in there for the night when all the exhibits come to life –they totally do– but it is just a really cool place to spend an afternoon. You need to stand under a giant blue whale at least once in your life, and while you’re in the vicinity make sure to head over to one of the greatest Mecca’s of Nerdom, the Hayden Planetarium. Home to the Cullman Hall of the Universe, and resting place of Neil deGrasse Tyson, at least when he is not out saving the galaxy from Skrulls and incorrect movie science. Just remember to check it out early as the planetarium often closes before 6:00 pm. Aside from all the iconic sights, New York also offers a lot of pretty unique and nerdy experiences. 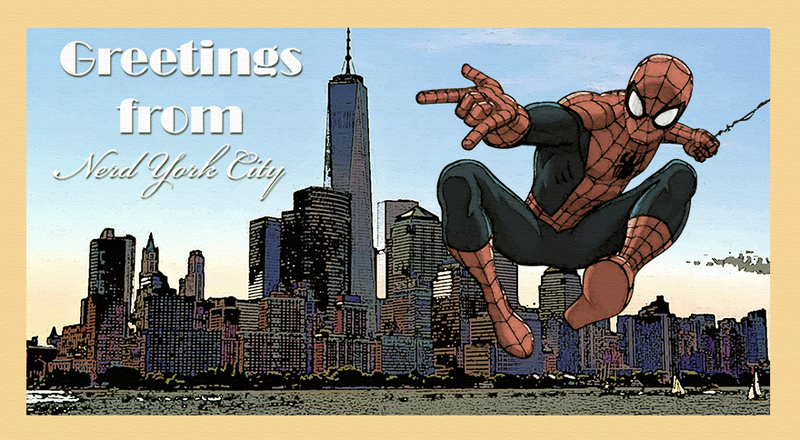 For comic book fanatics we suggest Forbidden Planet in Greenwich Village, Bulletproof Comics in Brooklyn, and of course –our personal favorite- Midtown Comics, in one of their Midtown or Downtown Manhattan locations. With several floors and stores of comics, memorabilia, and back issues you are certainly going to find something worth spending your cash on. Lastly, don’t miss out on the Brooklyn Superhero Supply Company in Brooklyn. They sell everything from capes to utility belts. You can purchase anything you need to feel like an actual superhero, and it also helps that the store is a charity that raises money for a non-profit tutoring and writing center for kids called 826 NYC. For gamers you can always check out the Sony NY Headquarters or the Rockefeller GameStop location to try out some pretty cool demos. However, we would also recommend you take a trip into Brooklyn to spend a night drinking and playing at Barcade. Other places of interest include Nintendo NY in Rockefeller Plaza, VideoGamesNewYork in the East Village, and Tekserve in Chelsea if you ever interested in buying electronics or fixing your computer at a business that is not shaped like a giant glass box. For literary Geeks there are amazing bookstores such as the famous Strand Bookstore in Union Square, the Housing Works Bookstore Café in SoHo, Desert Island in Brooklyn, and St. Mark’s Bookshop, which is unfortunately closed forever as of February… bastards. So unless you have a time machine, we’re not even sure why we mentioned this last one. For hobbyists and board gamers we recommend, The Twenty Sided Store in Brooklyn and the Compleat Strategist in Midtown. Between these two stores there is almost no game you will not be able to purchase. If you are obsessed with collectibles and toys make sure to check out, Toy Tokyo in the East Village, The Lego Store in Rockefeller Plaza, and Dinosaur Hill also in the East Village, especially if you’re into puppets. Those are just some of the year-round places to visit, but New York is always a hub of activity and changing attractions. Regardless of when you visit you need to stop by Discovery Times Square to see what exhibits they have going on. As of this writing they are showcasing costumes from all the Star Wars movies, as well as an exhbit on Vikings, and of course the world famous Bodies exhibit. You know… if you like looking at dead people. You can also stop over at the Intrepid Air and Space Museum for a wide range of exhibits on air and space, including the actual NASA shuttle, Enterprise. Currently, the Intrepid is also running a showcase on the other Enterprise, with its 50 years of Star Trek exhibit. Lastly, make sure to check out the Metropolitan Museum of Art. The Met may not seem overtly nerdy until you realize that you can see real-life medieval knight armor in the same place as Japanese samurai memorabilia and ancient Egyptian artifacts. The Met also has several rotating galleries of cool and trendy exhibits, and a rooftop exhibit. All in all we could go on for much longer about all the nerdy and geeky things to do here in New York. Remember you are always invited for a visit. New Yorkers love tourists, unless it’s between the hours of 7:00 am and 9:00 am or 5:00 pm and 7:00 pm on Monday to Friday, then we hate you. Get off the street, we’re trying to get to and/or from work. It is tourist season in NYC and maybe that’s why -as much as we love this city- we need to get out of it for a bit. So we will be hitting the road for the next few weeks. 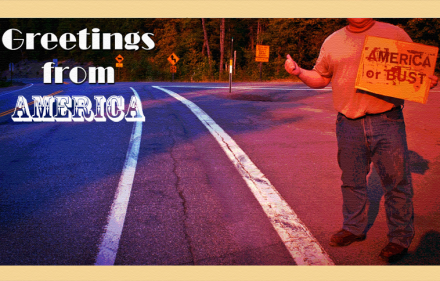 Make sure to check back to see our stories and find out what we discover as we trek across this great country. 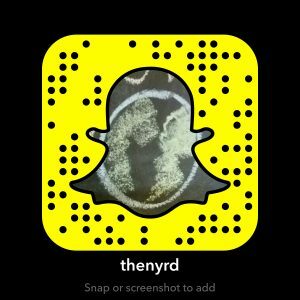 We will be positing pictures and stories here and on our SnapChat, -thenyrd- so stay tuned and hit us up to let us know what you want to see most out there in the wide nerd yonder.